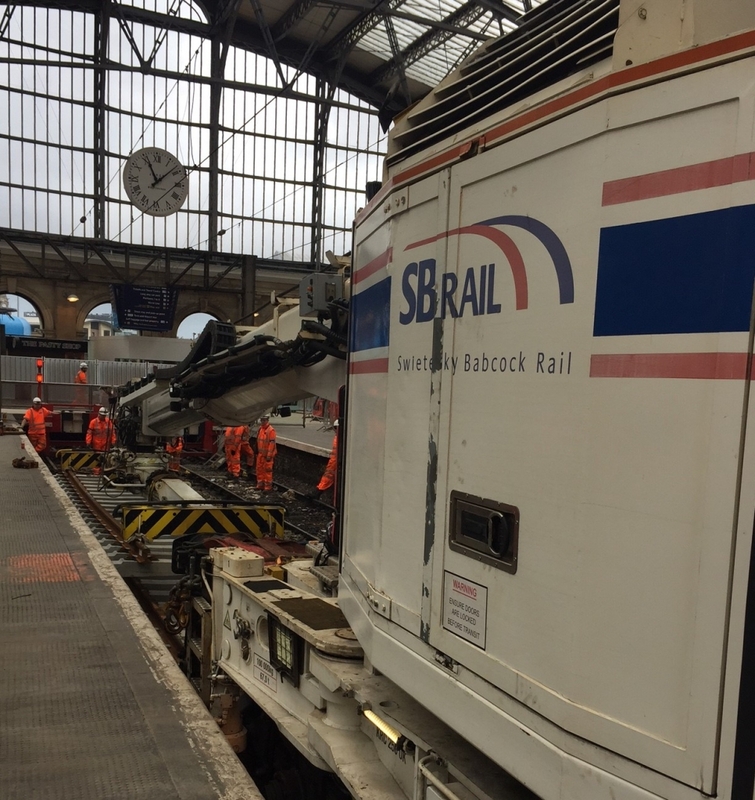 Between the 30th of September and 22nd of October two SB Rail Kirow 250 cranes supported the S&C North Alliance replacing almost 2,000m of track at Liverpool Lime Street. The Phase 1 works included the redesign and lengthening of existing platforms and the construction of two new platforms (7 and 8). 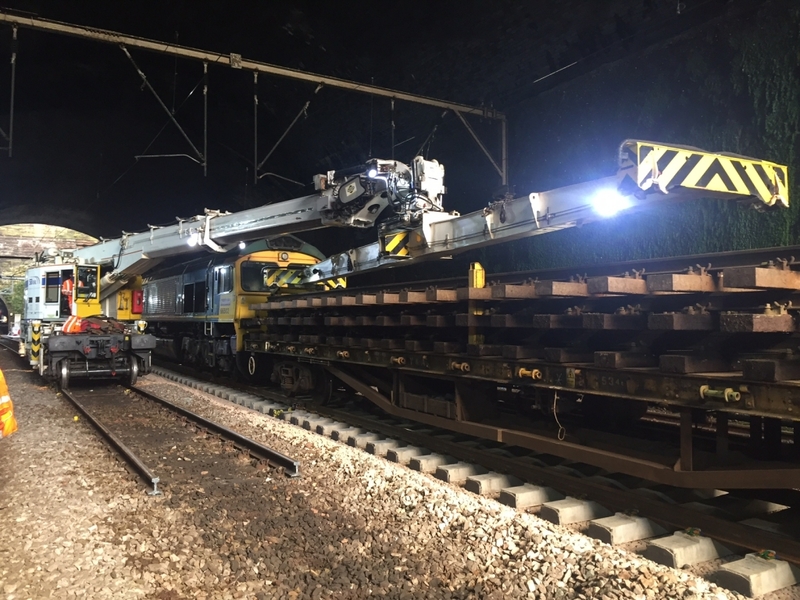 The cranes were deployed in single and tandem lifting operations with work focused on the removal and loading of 165 scrap panels onto osprey wagons and the unloading and installation of 186 new panels brought to site on various salmon, osprey and tilting wagons. The physical constraints of the works were extremely challenging, both in terms of machine operations and staff working in the tunnel and platform environments. 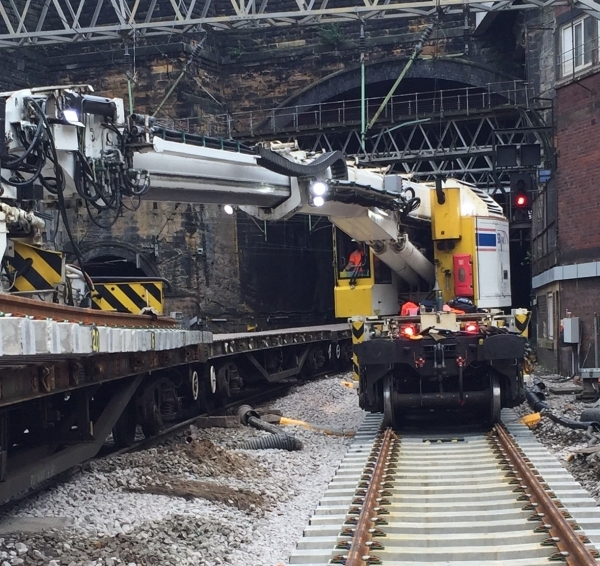 The safe delivery of all activities was in no small part thanks to the robot arm attachments which are installed on all SB Rail cranes. These devices are unique in the industry and enable the lifting, tilting and rotation of loads in any direction, whilst ensuring precise horizontal and vertical positioning and eliminating load sway.